There is a wonderful selection of birds: moorland birds, such as hen harriers, short eared owls, merlins, golden plovers and curlews, together with great northern divers and gulls, which can be observed on the RSPB Trumland Reserve. On the cliffs, particularly along the north-west coast of Rousay, large seabird colonies include puffins, guillemots, razorbills, black guillemots and kittiwakes. On the maritime heaths of The Brings and Quandal are large colonies of terns, skuas, gulls and waders. Mammals include rabbits, house and field mice, breeding otters, Orkney vole and large numbers of common and grey seals. The wide range of habitats also supports a great diversity of wild plants. 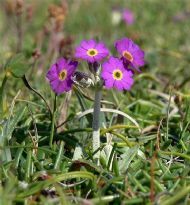 Early summer produces colourful carpets of varied flowers with several rare species including the Primula Scotica. Egilsay and Wyre are notable for large numbers of wetland plants such as flag, marsh marigold, northern fern orchid, early marsh orchid and Grass of Parnasus. The hills of Rousay support a large area of heath. Among the many coastal plants you can see a profusion of sea pinks and lichens. Primula scotica can be seen during May and July. 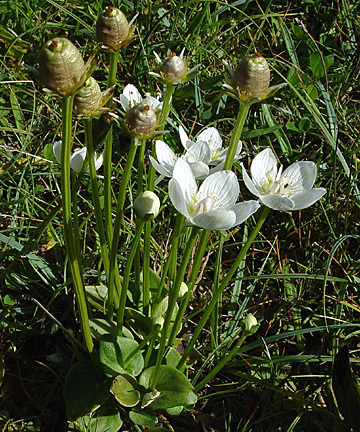 Grass of Parnasus can be found in wetland areas on all three islands. 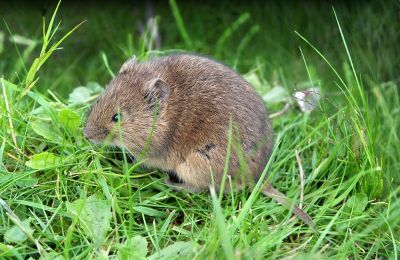 Rousay has its own species of the Orkney vole. 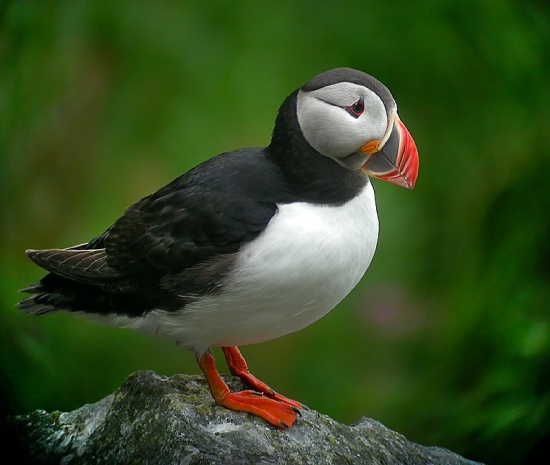 Puffins can be found on the north-west coast of Rousay.